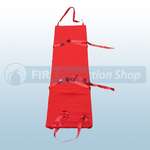 Available from the Fire Protection Shop are a range of evacuation stretches and sledges which are ideal to move immobile people from one area to another. 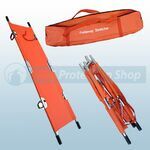 Available to buy is the emergency folding stretcher suitable for first aid response, casualty rooms and also industrial sites. Also available is the Standard and Large Albacmat (Flexible Evacuation Stretcher) that can be used to evacuate patients from nursing homes, residential homes and hospitals. 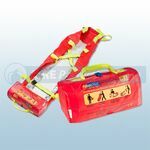 The Evacuslider can also be purchased which is a modern version of the rescue-sheet which is used in hospitals and attached to the underside of a hospital mattress to enable patients to be evacuated comfortably and safely down stairways and corridors in emergency evacuation situations. The Evacuslider can be purchased as premium adjustable. 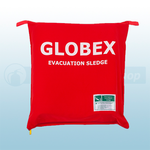 The Globex Evacuation Sledge and Evacuation Mat is ideal for two people to evacuate a physically impaired person easily and safely down stairs or when a lift can not be used in the event of an emergecy such as a fire.